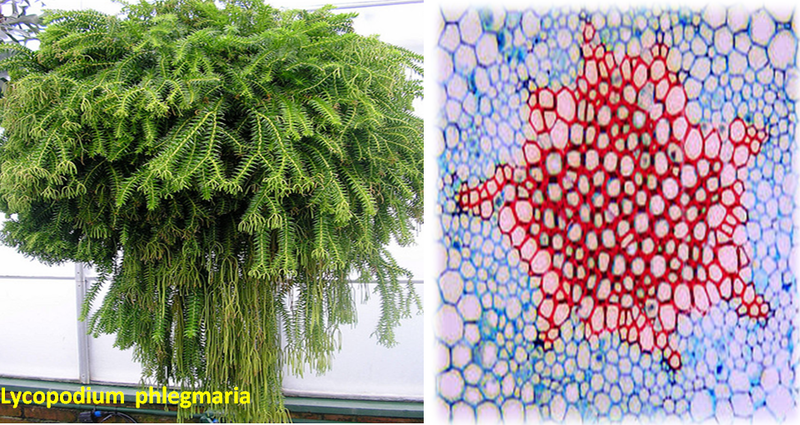 In the last post, we discussed in detail different types of stele and its evolution in pteridophytes. In this post we will discuss different types of stele in the genus Lycopodium. The stele is defined as a central vascular cylinder, with or without pith. Endodermis is the boundary between cortex and stele. Xylem and phloem are the components of vasculature. 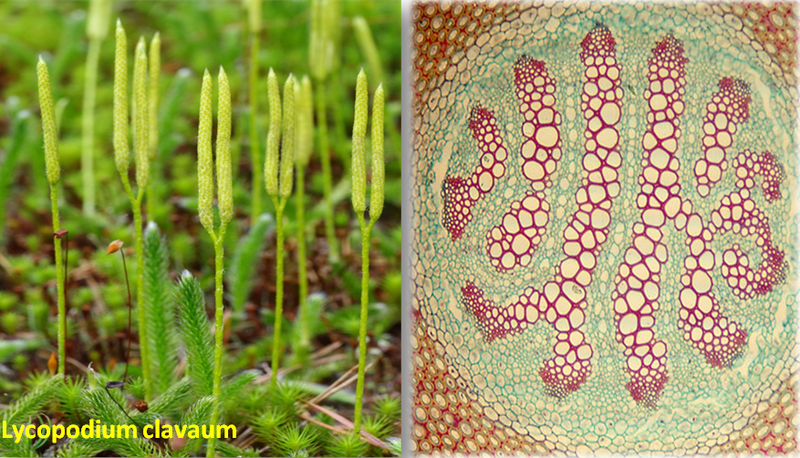 In Lycopodium, the stele is protostelic but the nature and arrangement of xylem and phloem differ in different species. Basically, there are three types of protosteles in Lycopodium. Actinostele consists of central xylem core with radiating ribs or a star shaped appearance surrounded by phloem. Here, Xylem is plate like arranged parallel to each other and each plate is surrounded by phloem. In this case xylem and phloem are uniformly distributed. Xylem elements break up into small groups and all get surrounded by phloem.